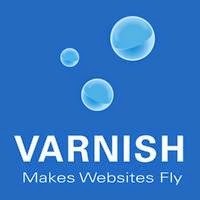 I couldn't find any good tutorial on installing varnish with virtualmin so I decided to test and post about it. Varnish is installed in front of the webserver, so it should listen on port 80 to accept the web requests. Since varnish will be listening on port 80, the webserver will have to listen on a different port. In this tutorial, I will use port 8080. And set the port to 8080. Then set the IP to your server's external IP. Setting it to 127.0.0.1 will not work on virtualmin by default, since virtualmin uses the external IP when creating a virtual host. Go to Global Configuration Tab => Network and Configuration => Remove ALL the entries that has port 80 in it. All your sites should now be running. Edit the Server templates, so that the next time you create a new virtual host, it will be listening on port 80. Virtualmin => System Settings => Server Templates => Default Settings => Apache Website => Change "Port number for virtual hosts" to 8080 and then click "Save". If you have more custom templates, you will need to edit them all. In this tutorial, I'm using Apache as a webserver, but it should work well on Nginx or any other webserver.